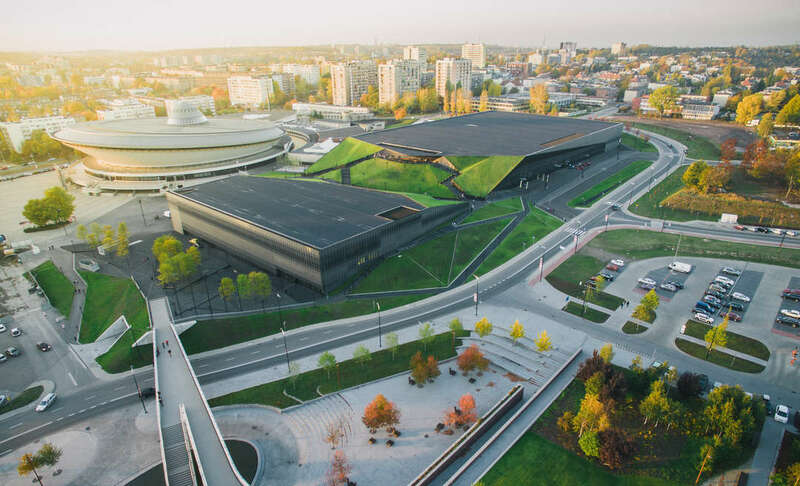 The incredible International Congress Centre in Katowice, Poland, designed by JEMS Architekci. Architecture that serves its purpose well while adding so much more than function to the surrounding cityscape. Located near the Spodek arena, the centre’s distinct form is integrated into the city’s public space, linking the oldest historic district and a key urban axis. The links were designed as public passageways and routes over the building roof. See more important architecture from Poland in the original post here.